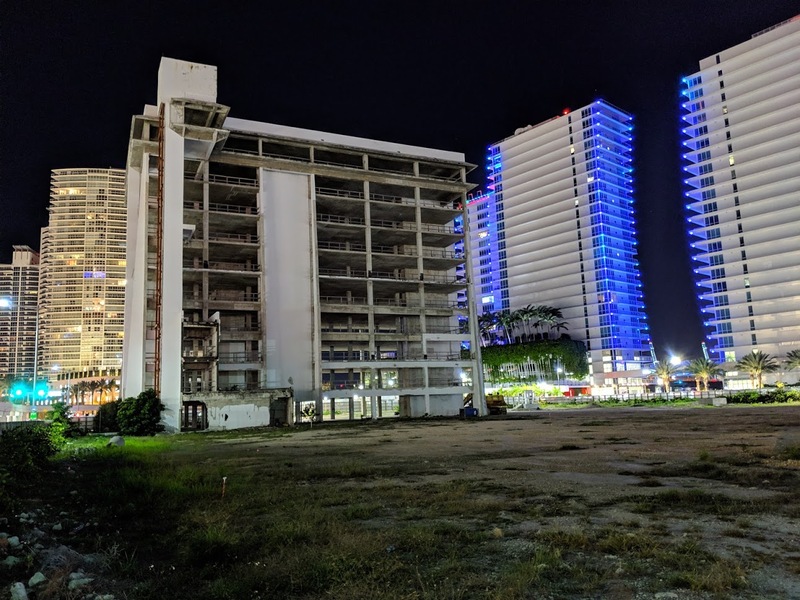 The 10-story South Shore Hospital building in South Beach will be imploded tomorrow morning, and the heavily populated neighborhood will be put on lockdown. The actual implosion will take place at 10 AM. Beginning at 8 AM, barricades and police will be put in place and an exclusion zone set up. Traffic will be halted on Alton Road altogether at 9:45. Publix at the Fifth & Alton shopping center will have their front door sealed at 9:30, with customers being permitted to leave from an emergency exit. Other area buildings are also being sealed. Sirens will begin sounding in the area at 9:58 AM. Sometime after 10 AM, a 10-second countdown will take place. Charges will be detonated within the structure, after which the building will take 12 to 16 second to begin collapsing. A horn will signal all clear, followed by inspection, cleanup, and reopening of streets. Miami Beach’s second tallest tower is being built on the site, along with a park and retail. Probably should have demolished this slab by slab. This will unleash a lot of harmful concrete/silica dust around the area. Yea some killer dust from a 10 story building! Hope they don’t damage the bridge!